The Beatles knew something about spring (listen to “Good Day Sunshine” and “Here Comes the Sun”). But when I think of spring, I want to dance. Luckily, in 2013, spring will once again bring us the World Dance Day celebration in Philadelphia. The 954 Dance Movement Collective partners with other movement artists and organizations in the community to bring Philadelphia’s 4th annual World Dance Day to The Piazza at Schmidt’s in Northern Liberties at North Second Street and Germantown Avenue, below Girard in Philadelphia on Sunday, April 28, 2013. UNESCO established World Dance Day on April 29 th in 1982 to spread the joy of dance to the general public. This year the World Dance Day in Philadelphia celebration is one day early because Sundays should be about fun and Mondays are usually about work. This event is FREE for all ages, fun for the whole family; offering performances and dance classes from 12:00 PM to 3:00 PM. The rain date is exactly two weeks later on Sunday, May 12, 2013. World Dance Day in Philadelphia is the great thing that happens when local dance artists and teachers get together to celebrate Philly dance. For the fourth year in a row, dance groups, dancers, choreographers and teachers are donating their talents for this free fun family outdoor event that reminds us all that it’s good to boogie.
! Participating artists include Art in Motion Dance (Salsa), IllStyle & Peace Productions (Hip Hop), Dancing Classrooms All-Stars (Ballroom), CoExist Dance, Monica Herrera (Flamenco), Temple University’s InMotion Dance Ensemble, Janosik Polish Dance Ensemble , Sattriya Dance Company (Classical Indian Dance), and many more. The World Dance Day PERFORMANCES will showcase a variety of dance styles. Past dance styles have varied from Indonesian Dance, Hip Hop, Improv, Hula, Argentine Tango, Modern, Polish folk dances, Flamenco and many more. The first performance hour starts at 12:00PM. The second starts at 2:00PM. Between the performances, stop by for the World Dance Day TEACH-IN – from 1:00 PM – 2:00 PM. It’s a great opportunity to try out dance classes of different disciplines including Flamenco, Line Dancing, Modern, Yoga, Rhumba, Salsa, Hip Hop, Belly dance and more. 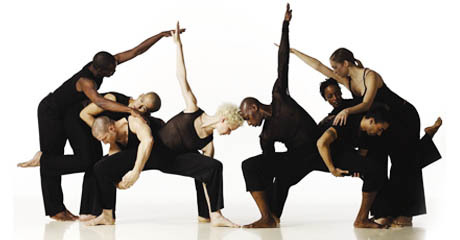 World Dance Day’s teach-in offers 20-minute classes. You have the option of experiencing one dance style for the hour or trying two or three. Always wanted to do salsa? Missed your calling as a hip hop dancer? The World Dance Day teach-in is a great opportunity to try something new!